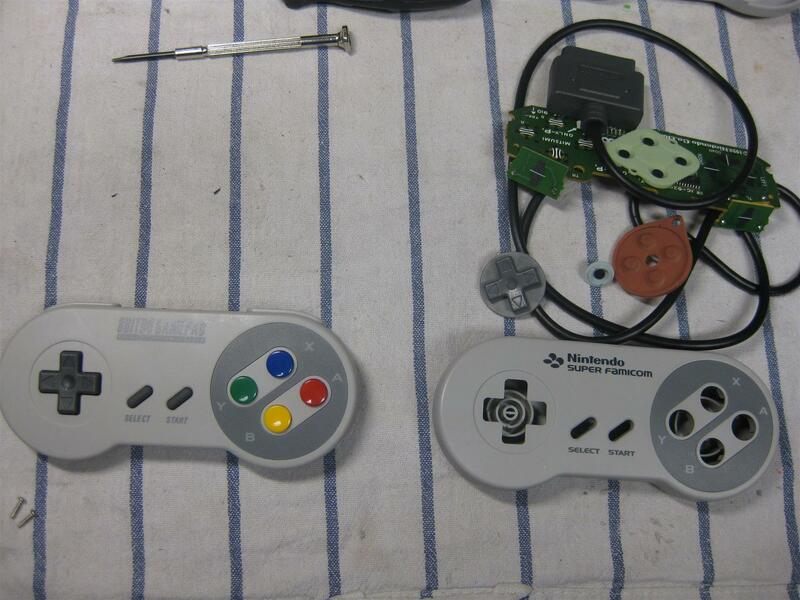 So I put the PCB of a SFC30 into a original SNES Controller. 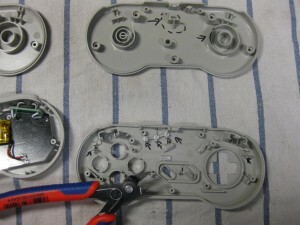 You need only some drilling and its a fast job. 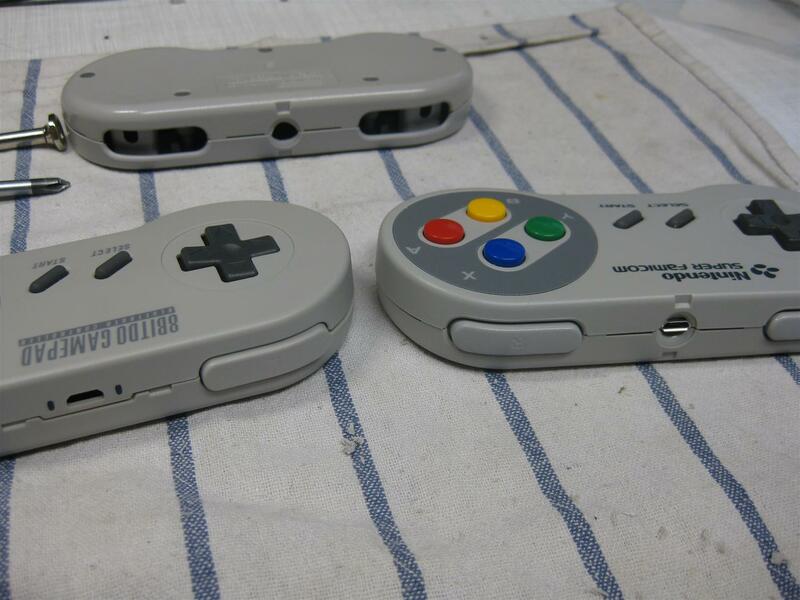 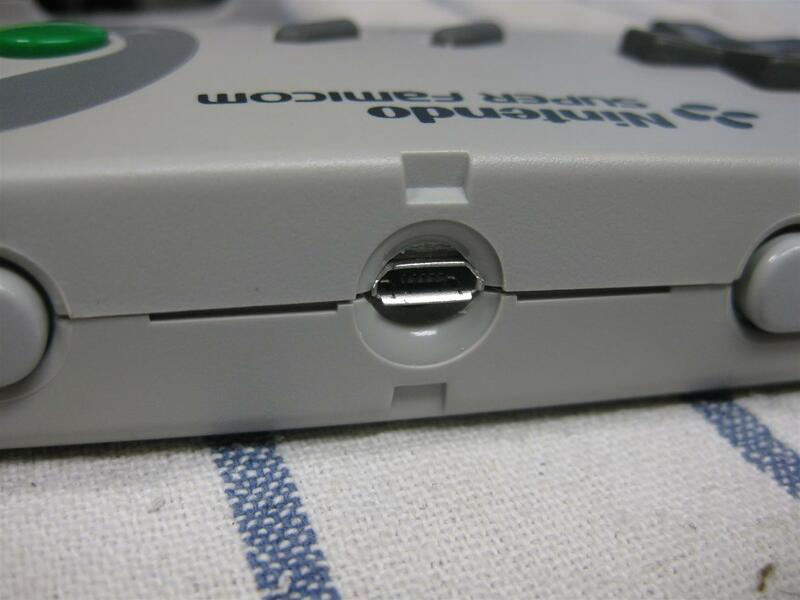 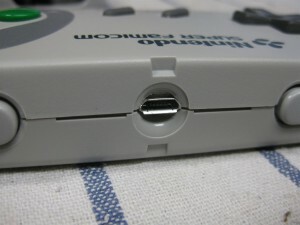 there are two ways to make Super Famicom Pads work on a PAL SNES. 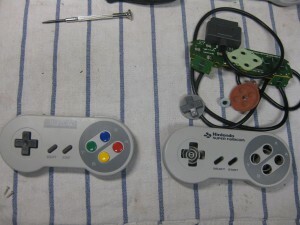 a) You can mod the ControllerPort inside the PAL SNES and shortcut the 4 diodes with some wire. 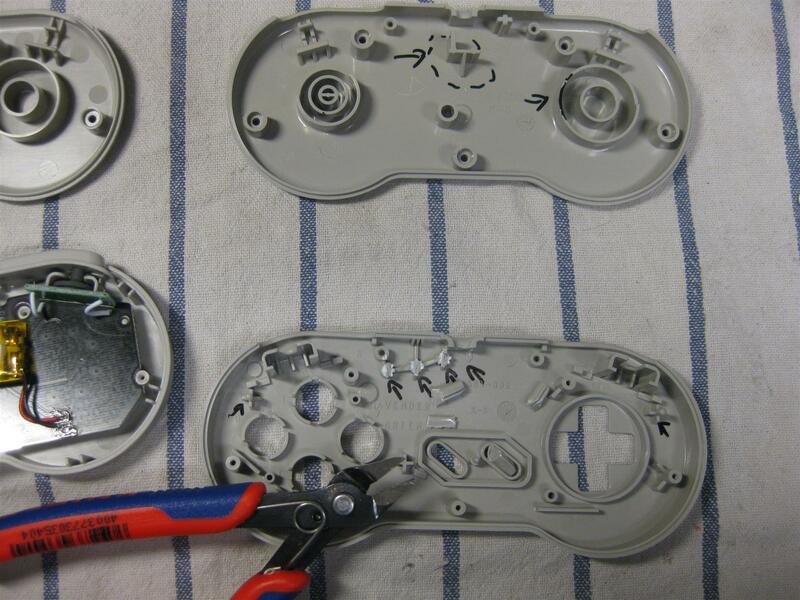 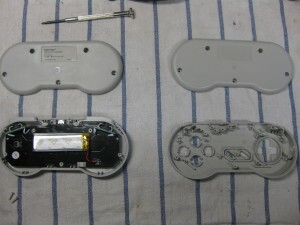 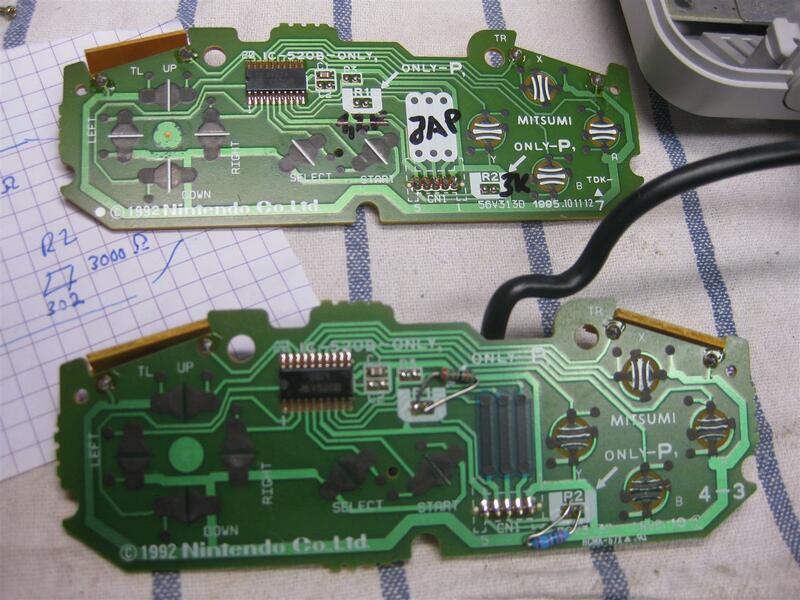 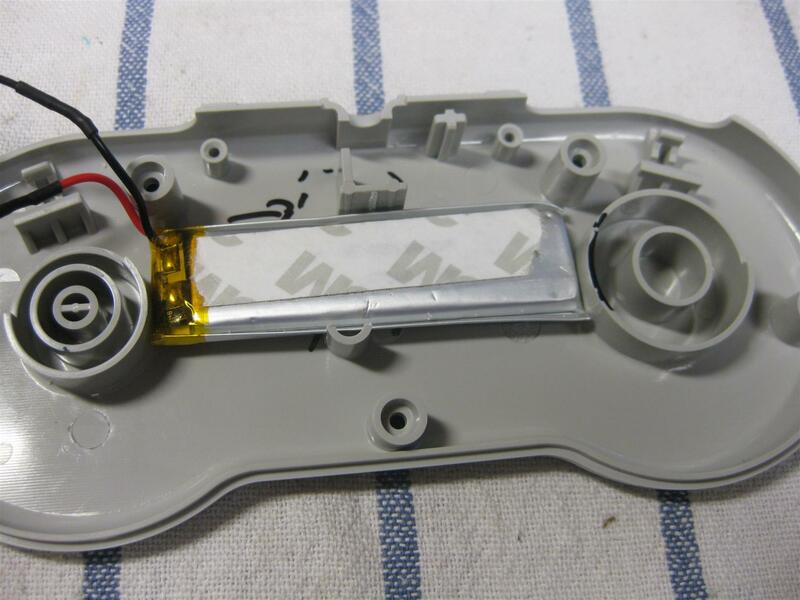 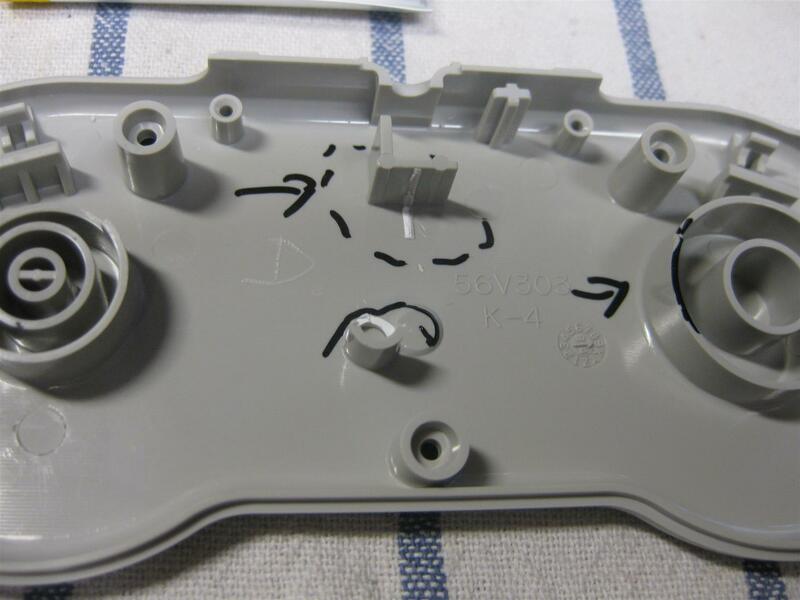 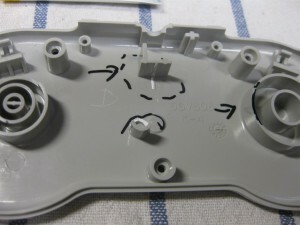 OK I have a look inside a PAL SNES Controller and shows to me: R1=1,2kOhm and R2=3kOhm. 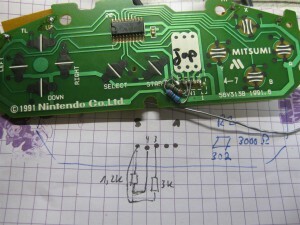 I done a quickshot with standard Resistors and used 1,2k and 3,3k. And Yeah a japanese Controller is working on my PAL SNES. 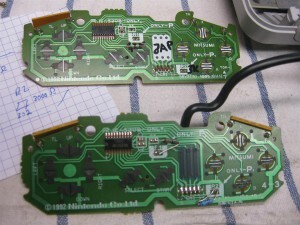 A “older” japanese PCB from 1991 is missing the two resistor spaces. 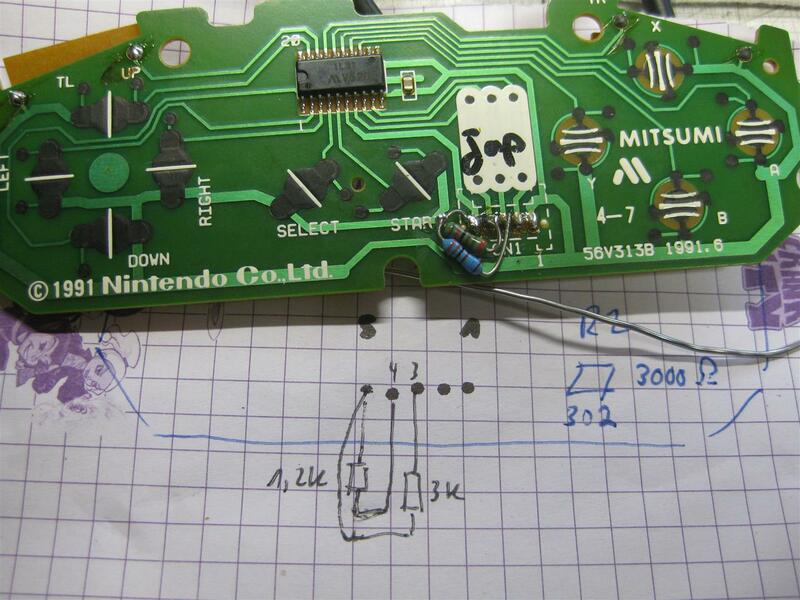 After checking the cirquits at 1992 Layout, no problem for this layout too.